It’s a load of rubbish! 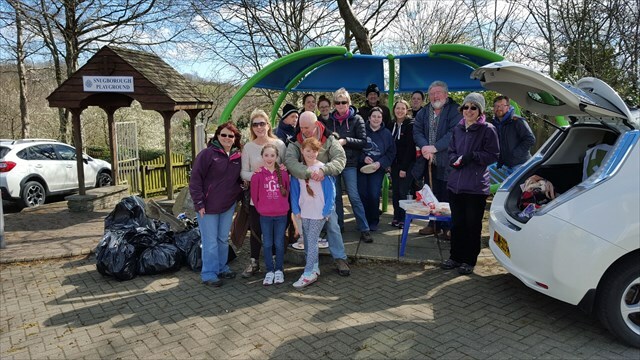 Local geocachers marked the “International CITO week – April 2016” with a clean up along and around the Heritage Trail, Braddan. 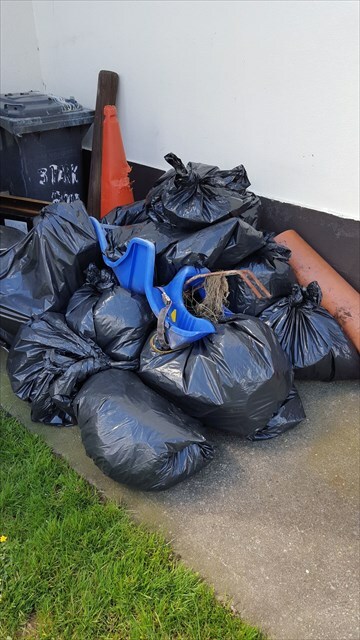 Including a Braddan Commissioner, 20 volunteers came along and within less than an hour had amassed a huge pile of discarded rubbish. Amongst the litter ‘finds’ were a mountain bike tyre and a child’s carrier seat from the back of a bicycle. Maybe if we had searched a little more we would have found the rest of the bike! So that’s 13 Manx Geocaching teams that have been awarded the special CITO souvenir which has been added to their profile. Well done, especially to many who, despite having other important commitments, gave up an hour of their time to tidy our countryside. Heritage Power Trail nominated in the National Geocaching Awards.